Bombardier Business Aircraft released its annual 10-year forecast for the private aviation market at the European Business Aviation Convention and Exhibition (EBACE) in Geneva. Current economic conditions and geopolitical issues in some markets such as Latin America, China and Russia, have had an impact on order intake levels industry-wide. 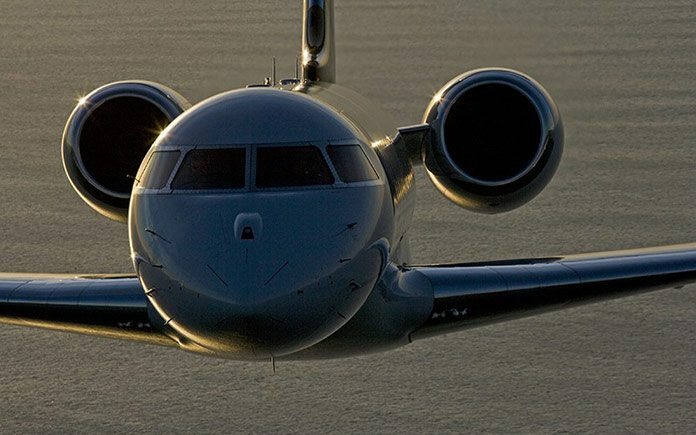 Despite these short-term economic fluctuations, Bombardier Business Aircraft remains confident in the potential of the business aircraft industry with a strong outlook for long-term drivers of business jet demand, such as wealth creation and globalization of trade. With this long-term view in mind, Bombardier Business Aircraft predicts a total of 9,000 business jet deliveries from 2015 to 2024 in the segments in which Bombardier Business Aircraft competes, representing approximately $267 billion US in industry revenues. The forecast provides an in-depth look at how six primary market drivers (wealth creation, globalization of trade, emerging markets, new aircraft programs, replacement demand and accessibility) will shape the future of business aviation over the next 10 years. In 2014, the business jet industry continued its path towards recovery, led by the strengthening North American economy. North American business jet orders and deliveries in the markets where Bombardier competes were strong in 2014, driven by solid domestic business investment, a thriving stock market and sustained consumer spending. However, orders and deliveries lagged in other regions as a result of several challenges which held back a broader recovery in the world economy. European GDP growth remained sluggish overall but gained some momentum in the later part of 2014. China’s growth decelerated while Russia ended the year on the brink of recession due to falling oil prices and significant economic restrictions imposed by the western world. Last year the industry reached 601 aircraft deliveries, a 6% increase from 2013. Demand for long range business travel continued to grow, though at a slower pace, which resulted in a total of 200 deliveries for Large category aircraft. Medium category aircraft had 212 total deliveries, a modest recovery expected to accelerate as world GDP growth improves in upcoming years. Light category deliveries amounted to 189 aircraft, less than half the level of deliveries seen when the market peaked in 2008. Having secured more aircraft orders and deliveries since the downturn in 2009 than any other manufacturer, Bombardier Business Aircraft continues to hold its position as industry leader. In 2014, Bombardier Business Aircraft delivered 204 business aircraft, amounting to 34% delivery market share. The overall market for business aviation continues to show encouraging signs of improvement. Macroeconomic indicators for 2014 were generally stable, with growth in 2015 projected to be similar to the previous year. In 2015, the world GDP is expected to grow by 2.7%, with higher growth expected thereafter. “With 9,000 business aircraft deliveries expected in the next 10 years, the private aviation industry continues to grow stronger…Bombardier continues to be well positioned for long-term market leadership and remains at the forefront of innovation and technology with the industry’s widest portfolio of business jets, including the Challenger 650, Global 7000 and Global 8000 aircraft” said Jean-Christophe Gallagher, Vice-President, Strategy and Marketing, Bombardier Business Aircraft. Bombardier Business Aircraft expects to deliver 210 business aircraft in 2015. Industry deliveries are expected to increase slightly in 2015 from 2014 based on the delivery guidance of manufacturers and new aircraft programs. Bombardier Business Aircraft predicts North America will account for the greatest number of new business jet deliveries between 2015 and 2024 with 3,900 aircraft, followed by Europe, which remains the second largest market with 1,525 deliveries between 2015 and 2024. Bombardier Business Aircraft continues to invest in innovative and efficient business aircraft solutions and new aircraft development programs, including the Challenger 650, Global 7000 and Global 8000 aircraft. As an important driver for business jet growth, new aircraft programs ensure Bombardier Business Aircraft is well positioned to meet market demand. Wealth creation – Expansion of economic activity in the world, measured by Gross Domestic Product. The global economy is expected to continue improving. GDP growth is forecasted to cross the 3% threshold by 2016-2017. Globalisation of trade – Expansion of trade from interregional partners to a globally connected economy. Trade globalization will continue, particularly with and between emerging markets, increasing the need for direct city-to-city access. Emerging markets – Growth of the world’s developing markets and the convergence of business jet adoption towards mature market levels. Fleet size in these regions is expected to continue growing as business jet adoption approaches mature market levels. New aircraft programs – Introduction of new and technologically advanced aircraft models into the industry. Several new models will enter service between 2015-2024 which will attract new buyers and stimulate replacement activity. Replacement demand – Demand generated from the retirement of aircraft. 1,825 worldwide business aircraft retirements forecasted over the next 10 years will drive increased replacements. Accessibility – Alternatives to full business jet ownership. Operators in the charter and fractional market are renewing their fleets. International expansion will drive future growth. Several alternatives to full business aircraft ownership exist that extend the benefits of private jet travel to many users. These alternatives are: Jet card programs, fractional ownership, branded jet charter, air taxis.